Could farmers make money by helping clean up Florida’s water supply? 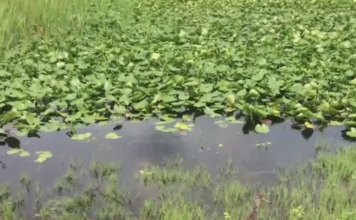 What residents put on their lawns can have an impact on waterways across Southwest Florida. After a tough summer on the beaches with red tide and tons of deaf fish, people in Naples are standing up, petitioning for stronger rules around fertilizer. “Now our paradise is gone, said Naples resident Wanda Klopf. Klopf says enough is enough. “It’s just like I’m in this big cloud of fertilizer,” Klopf said. She lives near a beach, three golf courses and works on the water. “In the summertime to put fertilizer on anything and watch it go down the street into the sewer and into our waterways it’s just illogical,” Klopf said. She says this is the worst she’s ever seen the waterways. “The animals- they’re the first to let us know man hey we die, you die,” Klopf said. The petition she’s backing wants the City of Naples and Collier County to ban fertilizer in the summer, when it rains the most. 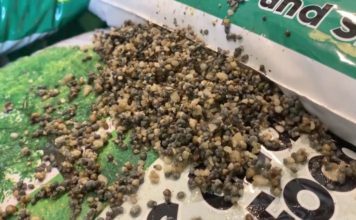 Both the city and county already have ordinances around fertilizer use, and agree nutrients from fertilizer can cause algae to grow and kill fish. “Everybody wants pretty lawns and this is the price we’re paying,” said Naples resident Michael Perrotta. The City of Naples says they used to have a summer ban. It was lifted last October when experts told the city it’s best to fertilize plants when they’re actively growing so they can absorb nutrients. Otherwise, the fertilizers will stay in the south and get washed into the water. The county says when they adopted their fertilizer ordinance in 2011, they deeply considered a summer ban, but they decided against it for the same reason. “I don’t have the answer but it is definitely a problem,” Perrotta said. Perrotta, a local fisherman, said he thinks making the ordinance stronger is a good way to fight this mess. “The water will be like a dead sea around here,” Perrotta said. The City of Naples says they’re always looking at new research and are reviewing the ordinance. The county says they plan to present a new ordinance to commissioners later this month.